AscendTech - Sun StorEdge 3300 Series 3Y Power Technology Sun StorEdge 3300 Series CP 20A 420W DC Power Supply CP-1023DBR1. 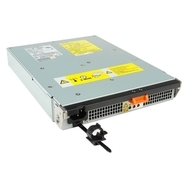 Dell - Power Supply, AX4-5 The Dell 420 W Spare Power Supply is designed to provide an ideal power management solution. This power supply provides reliable power to your mission critical applications. It supplies 420 W of power for your Dell storage array.